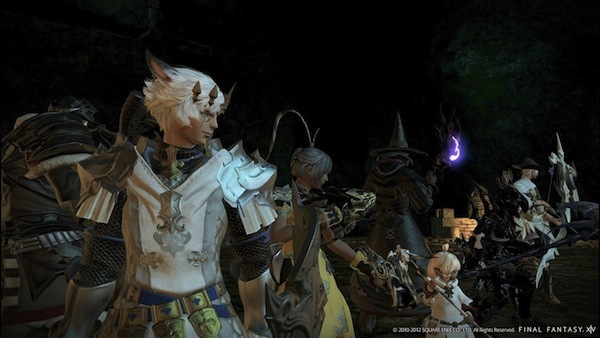 Unveiled to everyone’s surprise at the 2009 E3 Sony conference, Final Fantasy XIV is a long-standing project. Four years earlier, the team of Final Fantasy XI, in charge of this new episode, unveiled indeed a technological demo made in September 2004 for the future Xbox 360, and which foreshadowed the new project. Although it was known as the Rapture code internally, the developers knew that it would ultimately bear not only the name of the series, but also the coveted number. Their stated goal was quite clear: they were determined to create the best imaginable Final Fantasy, a challenge they felt could only be met by opting for the MMORPG genre. Unfortunately, no one could imagine that FFXIV would be so bad and place Square Enix in a delicate situation for several years after its launch in September 2010. Final Fantasy XIV has indeed met a very mixed reception from the players and the press, which criticized him for its controls ergonomic little PC game, its very limited content and its repetitive play area. These criticisms forced Square Enix to delay the start of billing for subscriptions and, above all, to begin a long process of restructuring the development team. In the space of a few months, the publisher has embarked on a vast project to improve the basic version of the game. But, above all, the producer Hiromichi Tanaka and the director Nobuaki Komoto have been replaced by Naoki Yoshida, newcomer in the series, to prepare the development of a brand new version. The restructuring of the team was announced in December 2010, then Final Fantasy XIV 2.0 was revealed in October 2011. The definitive name was clarified in 2012: Final Fantasy XIV: A Realm Reborn. Final Fantasy XIV takes place in the region of Eorzea, in the heart of Hydaelyn, a world ruled by twelve powerful gods. In the story of the first version of the game, the four city-states of Eorzea are on the alert since Ala Mhigo, the great city of the east, fell under the devastating assaults of the Garlemald empire. The avowed purpose of the latter is to annihilate the region completely in order to “purify” it. Thanks to its magitech technology, the empire was able to trigger the fall of one of the moons, Dalamud, on the surface of Eorzéa. Despite their efforts, the adventurers could not stop the general of the empire Nael Van Darnus in his madness. At the height of the battle, Dalamud split into the sky of Eorzea, revealing the giant dragon Bahamut, ready to destroy the world. To preserve humanity, the powerful mage Louisoix then invoked the god of space-time Althyk, propelling adventurers into a dimension still spared by chaos. This devastating event is the starting point of FFXIV: A Realm Reborn, because it is by destroying the first version of the game that the team of Naoki Yoshida was able to lay the foundations of the new. In the latter, the entire topography of Eorzea has been revisited to correct the repetitiveness of the original game. 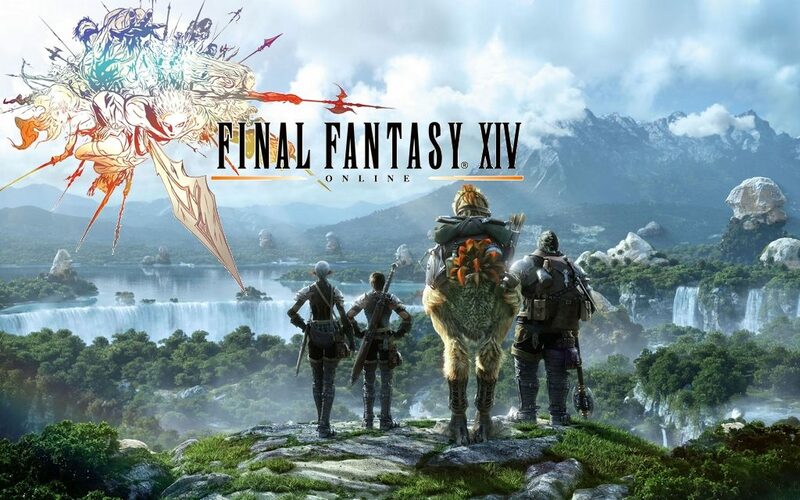 Thanks to a new game engine specially designed for the occasion, the developers have reviewed and corrected all the concepts of the first FFXIV to perfect them and offer an experience closer to the standards of the usual MMORPGs. Naoki Yoshida also made it a point of honor to incorporate many loans from previous episodes of Final Fantasy, although the story of A Realm Reborn is fortunately entirely new. During the months preceding the launch of beta tests and the commercial version, the creators chose to communicate very regularly on the progress of the project, to reassure players disappointed by their experience on the first episode. FFXIV: A Realm Reborn offers the player to create a character from five races that faithfully resemble those of FFXI, but with a much greater choice of customization. If there are many classes of combat, warriors and mages naturally, the game also allows to specialize either in the harvest (botany, mining), or in the craft (forge, goldsmith), with specially designed game mechanics for their respective tasks. It is possible to move from one class to another very easily in the middle, simply by changing weapon or tool in the menu. In addition to the quests available from the various NPCs, the game allows for small missions, called “guild mandates”, which are limited in duration but leave the player the opportunity to choose the level of difficulty. For the most combative players, a PvP mode has been added, with the ability to engage in large-scale battles between large companies. Although announced for both the PC and the PlayStation 3 during its revelation, the first version of Final Fantasy XIV has actually released only on PC for its initial version, Square Enix preferring to postpone indefinitely the port on PS3 for focus on the redesign. It was finally with FFXIV: A Realm Reborn that the game team began the development of the PS3 version, which accompanied the PC version at the launch on August 27, 2013. Then, in April 2014, the game made its arrival on PlayStation 4. Make sure to gather enough Final Fantasy XIV Gil to enjoy yourself in the new content. If you are in lack of gil, you can buy cheap Final Fantasy XIV Gil on FFXIV4GIL. Besides, you should read more to learn some useful tips on FFXIV.